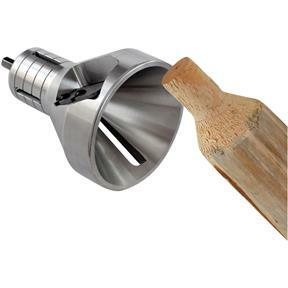 Cutting a 1" tenon joint on bed or railing spindles-balusters, chair or table stretcher and stringers or for any small joint requirement is quick and easy with this commercial grade, continuous-duty cutter. 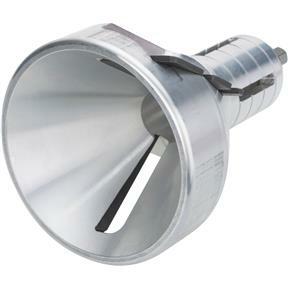 This small sized joint cutter is used for making non structural joints on indoor or outdoor projects. Designed for professional contractors, homebuilders, craftsmen or those who prefer the tapered shoulder or larger log capacity. Made in the USA. 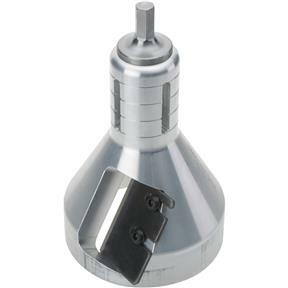 Maximum Tenon Length = Up to 3"